Joanna Bourne returns to the French Revolution, pairing espionage and burning romance to create an unforgettable love story. For fans of Stephanie Laurens and Elizabeth Hoyt, this is a must-­read. She's never met a man she couldn't deceive...­until now. She's never met a man she couldn't deceive...­until now. 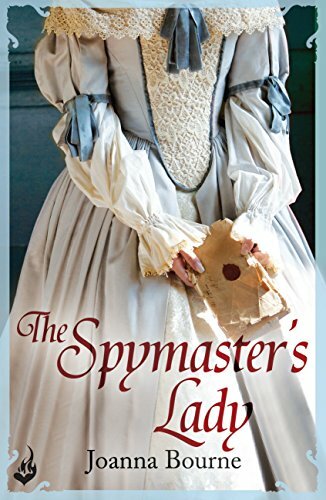 British spymaster Robert Grey came to France to find Annique Villiers, the notorious “Fox Cub,­” only to end up sharing the same prison cell as the beautiful spy. In order to escape, the two enter into a reluctant partnership that ends the minute they’re free. Believing that Annique has valuable information about the “Albion plans”—Napoléon’s scheme to invade England—Robert’s only goal is to get her back to London, but the surprisingly resourceful Annique is determined to thwart Robert at every turn. In her exceptional debut romance, Bourne deftly distills danger, deception, and desire into a seamlessly constructed story that will captivate readers with its irresistible combination of superbly nuanced characters and a high-­adrenaline plot. For more spellbinding Spymasters romance, look for the other titles . . .